Cleansing properly your skin every day is probably one of the most important steps in your skincare routine as no expensive treatment will get you full benefits of its ingredients if your skin is dirty and pores blocked. So I make sure I always double cleanse my face in the evening and then use a gentle cleanser in the morning as well to remove all grease, sweat and remnants of products from the evening before. You don't need to spend lots of money on cleansers but just be sure they're gentle on the skin because we don't want anything too harsh to strip our skin from the moisture and disrupt its protective layer. 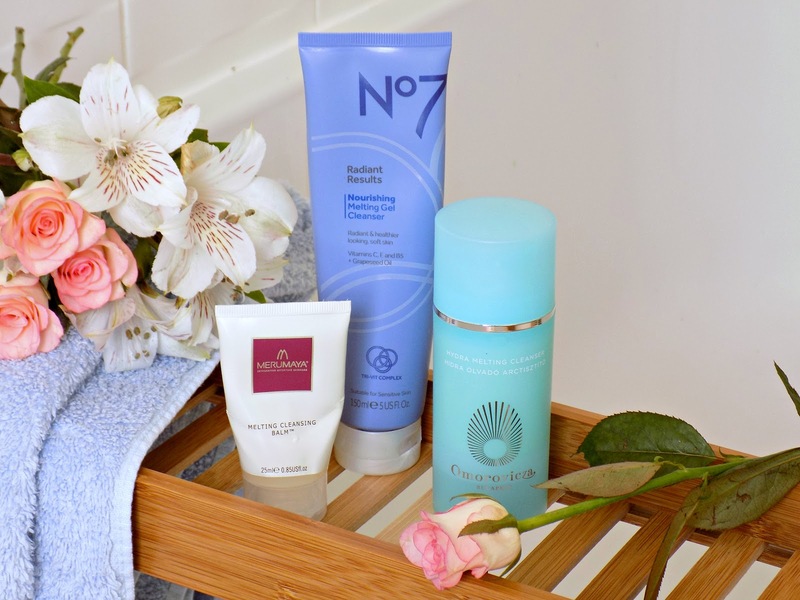 Today I want to share with you three great cleansing balms/gels which emulsify when in contact with water and are perfect as a second cleanse in the evening and/or part of your morning skincare routine. All three of them can be used to remove your makeup but I, personally, prefer an oil or oily balm to break down all my makeup and SPF and then I like to use something lighter that can be rinsed with water for tat fresh skin feeling but without the dryness. Isononyl isononanoate, Isohexadecane, Dimethicone, Glycerin, Aqua (Water/Eau), Prunus amygdalus dulcis (Sweet almond) oil, Sucrose stearate, Sucrose laurate, Isostearyl isostearate, Parfum (Fragrance), Panthenol, Vitis vinifera (Grape) seed oil, Tocopheryl acetate, Ascorbyl palmitate, Dipropylene glycol, Phenoxyethanol. The cheaper out of the three but still one of my favourite melting gel cleansers to use especially in the morning. You need to massage it into dry skin, there's a bit of oil in it to remove all the dirt and grease, then add a bit of water for it to transform into milk consistency easy to rinse off with water. The addition of Sweet Almond and Grape Seed oils makes it nicely hydrating and nourishing on the skin without being drying at all. It has nice calming, lightly fruity scent. I find this cleanser the least effective at removing my eye makeup but to be honest I always use micellar water for that purpose so that doesn't bother me at all. 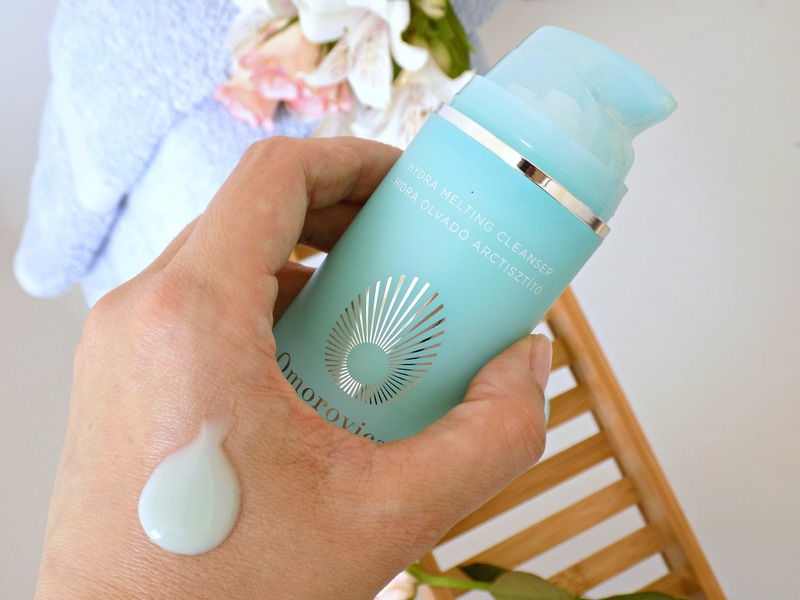 One of my all time favourite melting balm/gel cleansers, (see the review) I've used a few tubes of it, here it's the last bit of my travel size of it, so my apologies for the state of the tube. I will definitely repurchase it once I've used some of my other cleansers as it seems I have way too many 'on the go' at the moment. 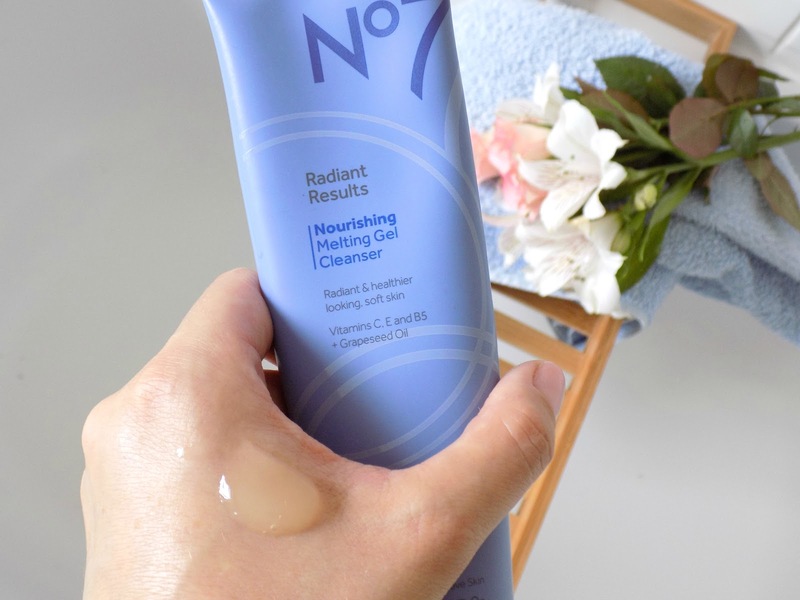 Just like the No7 one the Merumaya offering needs to be massaged into dry skin to dissolve makeup, dirt and grease, it transforms into oil and then in contact with water it emulsifies into milky consistency easy to rinse off with water or to be removed with wet face cloth depending on your preference. This cleanser is the most effective at removing eye makeup but I just don't use it for that purpose, usually I reach for it as my second cleanse in the evening. Sweet Almond and Echium Oil make sure that makeup and grime is easily broken down and skin nourished and hydrated. 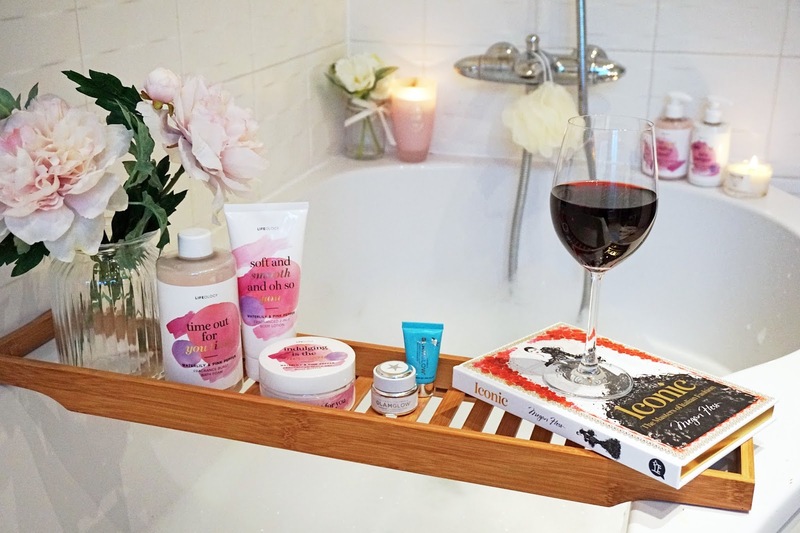 The cleanser has that calming, warm scent characteristic to Merumaya products if you're familiar with them and one I find really relaxing so love using it in the evenings. The most expensive out of the three melting gel cleansers and one to satisfy even the most picky skincare lovers with its beautiful, skin-nourishing ingredients and Omorovicza patented Healing Concentrate to deliver all the potent minerals, occurring naturally in the Omorovicza healing waters, deep into the epidermis. Enriched with essential oils of sage, rose geranium and Roman chamomile has mild astringent and antiseptic effect that’s brilliant for battling blemishes. Just like the other two melting cleansers it transforms from balm/gel into oil and then, in contact with water, into milk to effortlessly remove the very last trace of makeup and daily grime. I don't use it on my eyes as, like I said, I prefer to remove my eye makeup with micellar water but it doesn't sting my eyes if I use it on days I don't wear any makeup. It looks and smells like a product used in Spa and that's just so relaxing and a pleasure to all senses as it also feels amazingly luxurious in contact with skin. I find it quite hydrating and not stripping, effective yet very gentle and soothing. Do you use melting gel/balm cleansers in your skin cleansing routine? Have you tried any of these? 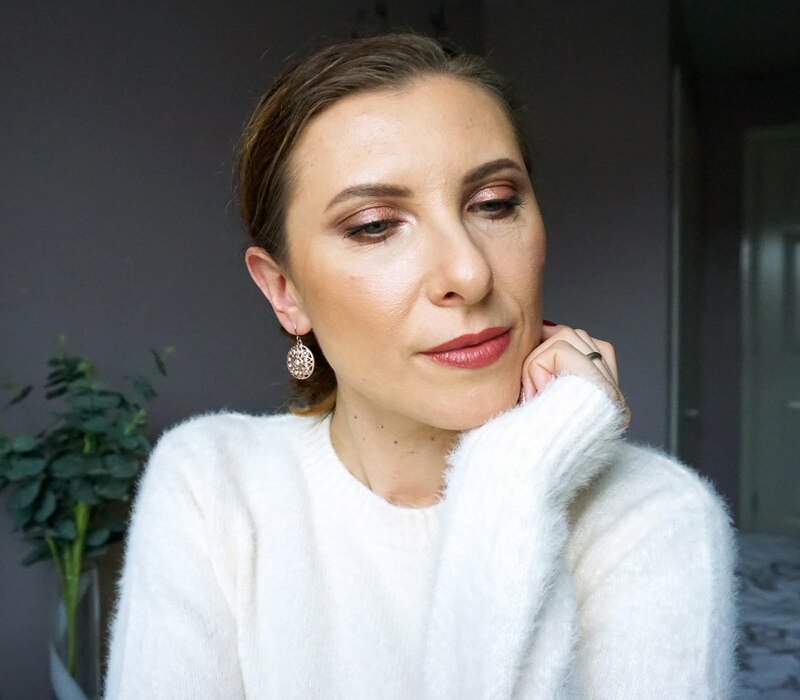 Check out my other posts in the series of 'for every budget': deep cleansing face masks, hot cloth cleansers, facial mists.